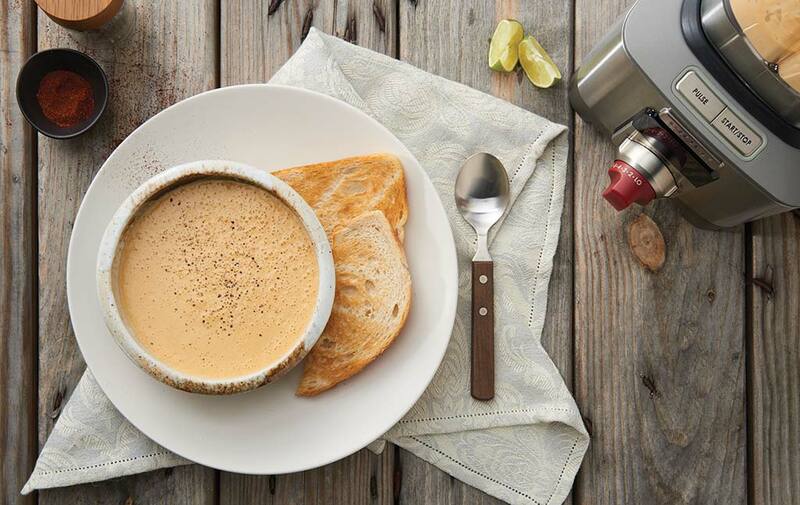 Using a blender to prepare soup is a time saver, even when you want to make something special. This soup sounds like a lot of work, but it isn’t. You could even roast the cauliflower the night before and prepare the soup in mere minutes the next day. Roasting cauliflower intensifies its sweetness, and coating the cauliflower with an Asian-inspired yogurt curry glaze before roasting turns a sometimes lackluster vegetable into a bright and creamy soup base. 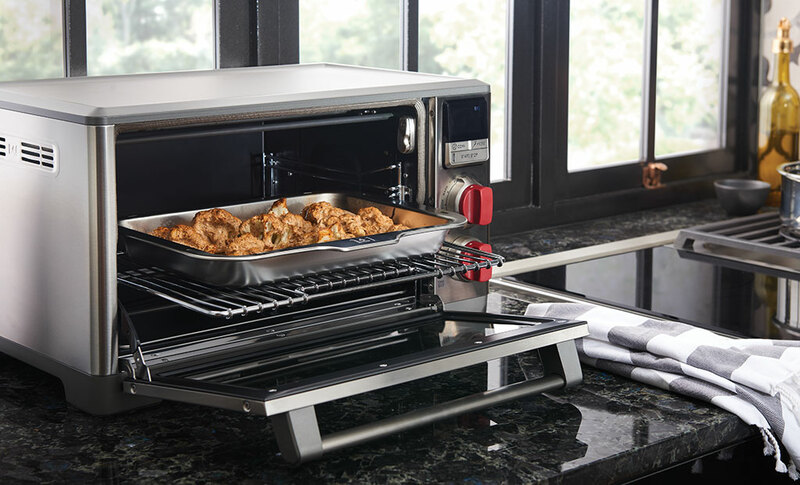 The Wolf Gourmet countertop oven is the right size to roast a whole head of cauliflower on a 10×15 pan. Once the roasting is done, let everything cool before adding to the blender. Use parchment paper to keep cleanup to a minimum to make transferring the cauliflower into the blender easy. 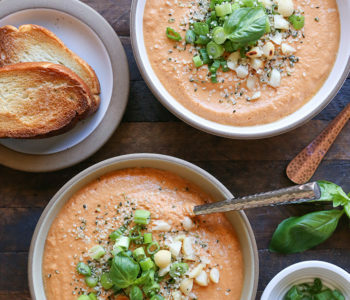 The blender’s SOUP setting will turn the ingredients into a velvety soup in about six minutes. 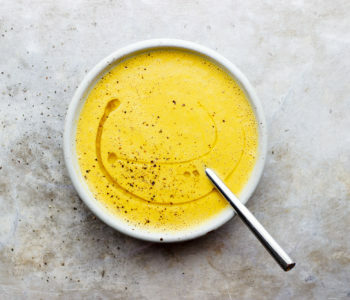 Add heavy cream at the end of the SOUP cycle through the emulsion cup, so you don’t have to open the lid until it’s time to serve, ensuring the aromatic soup holds at the ideal serving temperature. 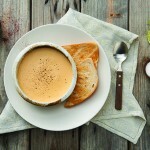 Topping soups with garnishes enhances both the flavor and presentation. 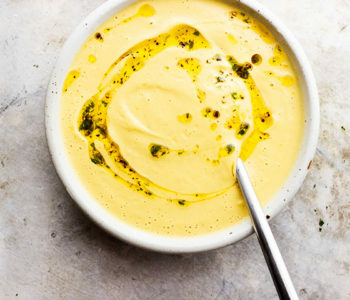 Try adding a spoonful of plain Greek yogurt with a sprinkle of curry powder stirred in, a few fresh cilantro leaves, or a couple of roasted cauliflower florets. Preheat the oven to 400°F. Using your fingers, lightly grease a rimmed baking sheet with a little oil, then lightly grease the garlic and shallot and place on the baking sheet, or line with parchment paper before greasing. Place the chicken broth in the blender, followed by the garlic, shallot, and cauliflower. Select the SOUP setting. Once the cycle finishes, slowly add the cream to the emulsion cup so it blends in while the blender is running (1 cup of cream won’t fit in the emulsion cup all at once so it needs to be added gradually). 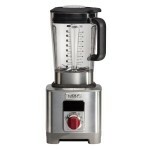 Select MANUAL/LO, gradually increasing the speed to SPEED 8 and blend, 30 to 40 seconds. Season with salt and pepper.